Nurses are expected to act as patient advocates in line with their Code of Professional Conduct (NMC 2015). But nurses may encounter a range of emotional consequences when attempting to act out the role of advocate. Some of these consequences may be the direct result of a failure to bring about a reconciliation between tensions experienced between the ethic of caring and the everyday experiences and contexts in which nurses must make decisions. For nurses, advocacy is a serious business with obvious and potentially threatening consequences to their health. Copp (1986) states that Advocacy is not a slogan or a hobby nor is it to be entered into by the faint hearted. Abel-Smith (1987) notes: Exposed to human contacts of this kind [here he refers to close patient contact], the risk of emotional involvement becomes the greater with the consequential psychological stress. Copp (1986) also identifies the concept of feeling the heat. This she describes as when a nurse is caught in the middle of complex social interactions that usually include highly charged emotional exchanges. Such a formula has the potential to excite chemical reactions of such a magnitude as to cause ill health to the nurse. Most nurses strive to uphold the professional demands of nursing and their commitment to humanity, but concern for one’s own safety is a human need that must be satisfied. Nurses act to support the rights and interests of patients and clients. However, there are some situations in very hostile and dangerous environments where this would almost be an impossibility, and what is important then is that nurses’ fears do not prevent them from referring their patient or client to an independent advocacy scheme. Alternatively, if nurses choose to act as advocate for their patient or client, they may well feel that they require extra support and understanding from friends and colleagues. Again nurses must not be afraid to seek independent counselling to support them through such a period. Discussing fears with someone else often puts events into perspective and provides courage for the nurse to proceed. One of the most destructive and distressing of all emotional responses to acting as advocate is the overwhelming feeling of helplessness, which is well documented within psychological texts. The concept of helplessness is used to describe people who face such overwhelming odds that they feel unable to respond, react, question or challenge the situation in which they find themselves. Atkinson et al. (1990) identify studies that demonstrate how people and animals learn to be helpless when faced with stressful situations. In some environments it is difficult to speak up and represent a patient’s rights and interests. Certain environments may lead to the feeling of helplessness. Nurses need to prevent this by being able to identify hostile and dangerous environments. Such environments do still exist and nurse practitioners must recognise this and attempt to guard themselves against becoming helpless practitioners. A study by O’Brien et al (1992), provides some interesting insights into the characteristics of good advocates. This study sought to identify those personality characteristics of advocates, which correlate with the ability to maintain advocacy relationships. The study was conducted in Australia on 59 advocates, of whom 45 were women and 14 were male, with a mean age of 30. An analysis of the occupations of 20 of the advocates is interesting: 4 were from the teaching profession, 4 were from the helping professions and 7 were full-time students. Therefore, 75 per cent of the 20 advocates analysed originated from a professional scenario not too dissimilar from nursing. All 59 advocates had their personality characteristics measured by the California Personality Inventory (CPI) which was originally designed to assess normal characteristics in healthy individuals and personality characteristics important in daily living. Scores were then used to investigate whether personality characteristics could be used to predict the maintenance of a relationship between the advocate and the protege. The study found that where relationships lasted beyond eighteen months there was a high degree of flexibility and adaptability in the thinking and social behaviour of the advocate. In addition, advocates demonstrated a sense of well being, freedom from self-doubt and disillusionment, also appearing versatile, productive and energetic. There was also evidence in these advocates of dependability, conscientiousness and common sense. Generally, those advocates who were able to maintain long-term partnerships displayed characteristics of flexibility, confidence and common sense. Project 2000 aimed to foster in students of nursing the means of becoming flexible practitioners who have the confidence and readiness for change (UKCC 1986). It would seem that the preparation of nurses, whose very education is designed to promote the most positive characteristics for successful advocate partnerships, could make a significant contribution to the field of advocacy. There is much in the substance of nursing and the work of nurses that, potentially, would make them excellent advocates. In a sense, the promotion of caring in nursing is a renaissance of the fundamental nature of nursing. It is to do with a deep and profound concern for humanity that transcends contracts and the current ideology of the market place within health care. Brown, Kitson and McKnight (1992) have suggested that caring will manifest itself at a natural and ethical level. Concerning the natural level they said: “If we did not want to care and be cared for, if we did not mind suffering and were not liable to despair or if such experiences could not be helped by companionship, then we would not need to put such a high value on caring”. 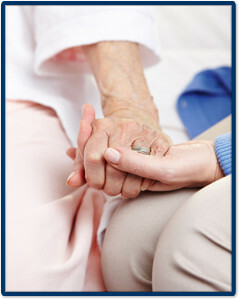 This natural level of caring enables the nurse to develop an ethic of caring. At the ethical level of caring they suggested that “the basic notions of caring, supply a form that impulses can take which would otherwise be formless and to facilitate good before one’s own is a clear declaration of one’s ethical position (Brown, Kitson and McKnight 1992). Curtin (1979), argues that advocacy was a philosophical foundation and ideal of nursing within the caring ethic: Perhaps the philosophical foundation and ideal of nursing is the nurse as advocate. This concept is not simply one more alternative to be added to the list of past and present concepts of nursing nor does it reject any of them, it embraces all of them (Curtin 1979). In developing her argument of this idea of the nurse as advocate Curtin suggests that â€˜this proposed ideal of advocacy is based upon our common humanity, our common needs and our common rights. We are human beings, our patients or clients are human beings, and it is this commonalty that should form the basis of the relationship between us. It often seems that we have permitted traditionalism, elitism and more recently legalism to obscure this most basic of facts (Curtin 1979). Clearly such a position was grounded in the caring ethic. A commitment to the caring ethic would appear to value and promote a more subjective mode of caring in nursing as opposed to the more objective and distancing mode of nursing. Such commitment to caring will require the nurse to give of herself in the truest sense. This giving will inevitably extend beyond the fixed requirements of professional codes and contracts and, because of this, there may be a personal cost to the nurse practitioner. To act as advocate in some work contexts is made impossible by the combination of conflicts of loyalty and closed, hostile or dangerous environments. This combination of professional demand, role complexity and the environment in which nurses practise, can be demonstrated in the Bermuda Triangle of Nursing. Failure to break free of the constraints of the triangle, will result in advocacy being lost in the Bermuda Triangle of Nursing. If nurses claim their role to be that of promoting â€˜holistic health and the care of people, then they must face their responsibilities and offer more than the substance of their contracts. “The role of the nurse will change, more will move away from the hospitals to the everyday life where they are badly needed. They will become resources to people rather than people on health matters . . . if the millions of nurses in a thousand places articulate the same ideas and come together as a force, then they could act as a power house for change. I believe such a change is coming”. This statement projected a positive image of the potential for nursing, an image where professional internal squabbling will become unnecessary baggage of the past. Nursing will move forward in new and exciting ways, which will transcend role boundaries and will have more to do with caring for people, the true vocation of nursing, as opposed to nurses being manipulated into roles as agents of governments. Tensions exist between the ethic of caring and the everyday experience and contexts in which nurses must make decisions. The practice of nursing should be based upon autonomy, co-operation, competence and confidence. Above all else the nurse must be able to demonstrate true caring skills that transcend existing role boundaries, contexts of employment, professional demands, conflicts of loyalty or threats of disciplinary action. In other words, nurses must break free from the Bermuda Triangle of Nursing. To conclude, the essence of advocacy is the unshackling of people from their worries, concerns and difficulties, through partnerships but without parentalism, by contributing to their own empowerment to experience the world, in the best state of health possible for them. Gates, B. (1994) Advocacy: A nurse’s guide. London: Scutari Press. A History of the Nursing Profession. Atkinson, R.L., Atkinson,A R.C., Smith, E.E., Bem, D.J., Hilgard, E.R. Introduction to Psychology (10th edn). Brown, J., Kitson, A., McKnight, T.
Challenges in Caring: Explorations in nursing and ethics. The Nurse as advocate for vulnerable persons. Journal of Advanced Nursing, 11 (3): 255-63. The nurse as advocate: A philosophical foundation for nursing. Advances in Nursing Science, 1 (3): 1-10. Brien, P., Tuck, B., Elkins, J., Cummins, R.
of relationships in a citizen advocacy programme. The British Journal of Mental Sub Normality, XXXVIII (74): 24. Project 2000: A new preparation for practice. London: UKCC.